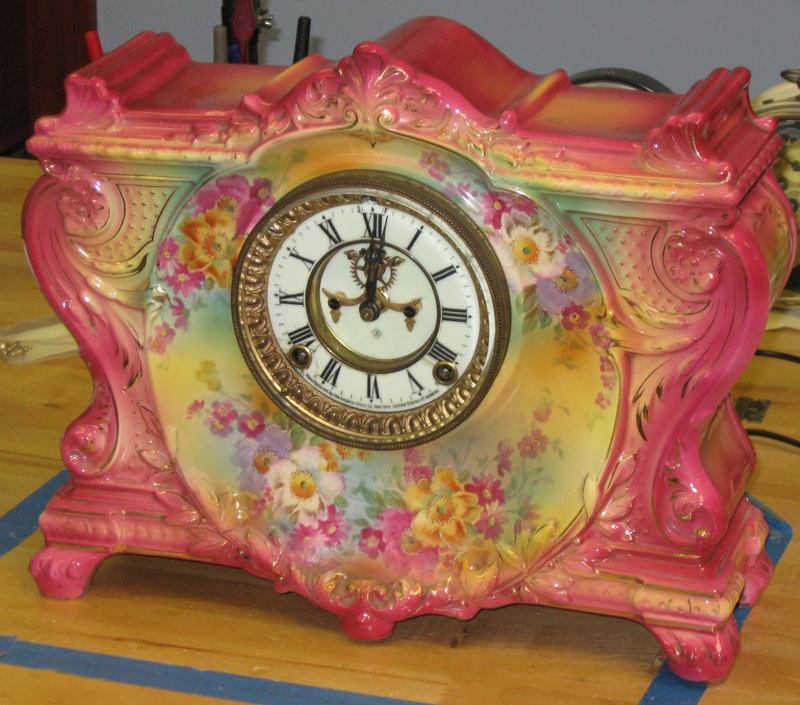 I just repaired this beautiful mantel clock. 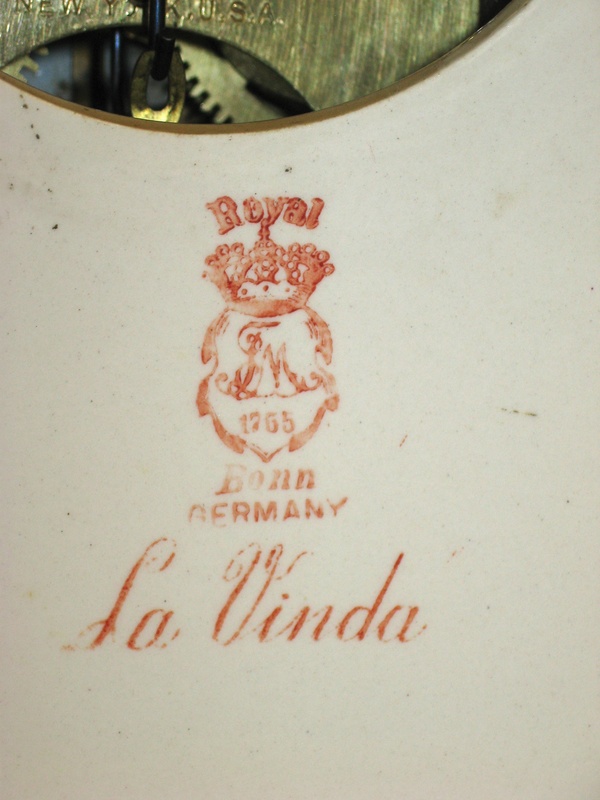 It is an Ansonia named “La Vinda” in a Royal Bonn china case. 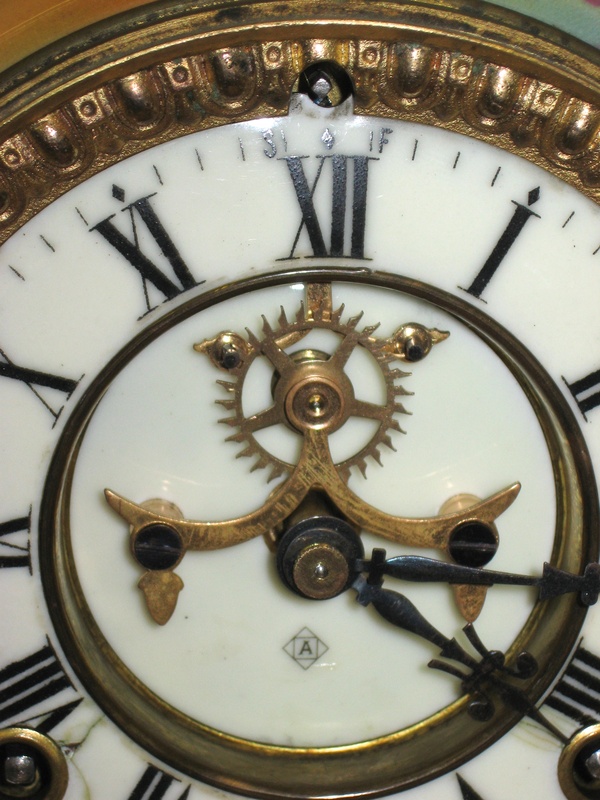 The escapement visible in the center of the dial is fascinating to watch. The 8-day movement strikes the hour and half-hour on a coil gong. The case is 11 15/16 inches tall and 14 1/4 inches wide. The dial’s minute track is 3 23/32 inches diameter, and the minute hand is 1 7/8 inches long. Repair job 6100. I polished the pivots and installed 10 bushings.